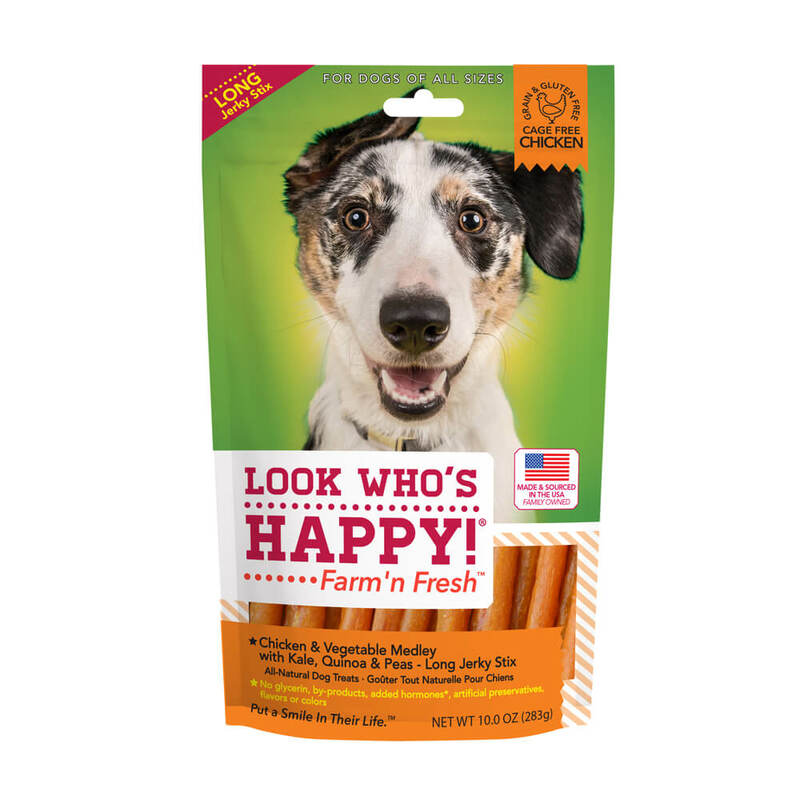 Made with naturally raised poultry, Farm’n Fresh treats bring a taste of the farm in every bite. Each treat is full of natural farm fresh healthy ingredients like peas, kale and has a beech wood smoke smell.Each product is US sourced and tested to ensure that the treats are the best for your favorite pet. The refined packaging ensures freshness even if you leave it unopened for few months or years. Available in Two Sizes: Long Stix and Training Bites for every dog to find their perfect treat. To maintain freshness, reseal after opening. Chicken, pea powder, dried tapioca, molasses, whole quinoa, dried kale, salt, citric acid (to impede mold growth), vinegar, mixed tocopherols (to maintain freshness).